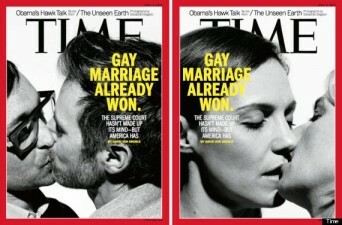 Time magazine went all-in on gay marriage Thursday, releasing two covers with the stark headline “Gay Marriage Already Won.” The covers show two men and two women kissing. The men are domestic partners in California; the women are married with two children. Posted March 29th, 2013 & filed under News. Is the Pope all talk on LGBT tolerance?